The Board of Directors of the RFEC, meeting yesterday afternoon, has approved the designation of the national coaches of the different disciplines. José Luis López Cerrón, president of the Royal Spanish Cycling Federation, yesterday led the meeting of the Board of Directors of the federal entity that served to approve the new technical team of selectors of the different disciplines for the current season. 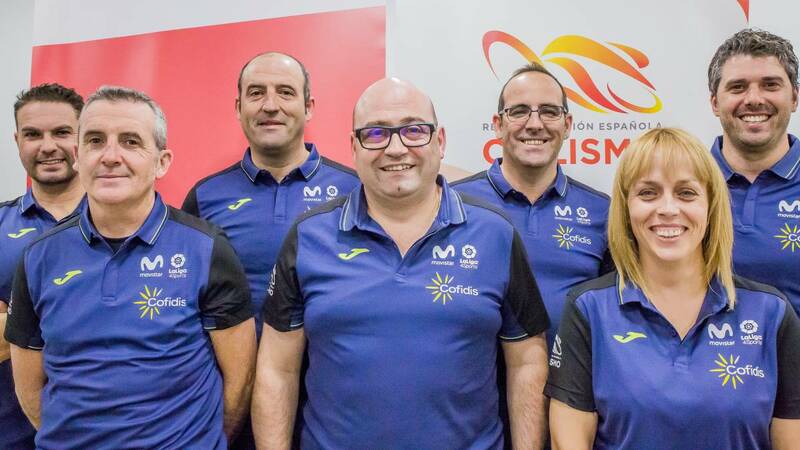 As main novelties were approved the appointment of Pascual Momparler as the new Elite coach of road cycling; In addition, the Valencian will continue to combine this work with seleccionador national ciclocross, position held for six years. Otra new developments with respect to 2018 will be the entry of Gema Pascual in the technical chart of the RFEC. The former professional cyclist and President of the Women's Commission will be in charge of directing the national women's team on the road in all categories. Ramón González Arrieta, who until now held that position, will become the road coach for the U23 male category, continuing Francisco Cerezo as head of the Spanish Men's Junior National Team on the road. Also, Raúl Mena in Pista, Félix García Casas en Adapted Cycling and Manuel Mateo leading the modalities of BMX and Trial, will continue to be the National Teams of these specialties. For his part, Cristobal Sánchez, in addition to being the national coach of BTT, will remain the Technical Director of the RFEC.